Mixing different strains of the influenza vaccine could result in decreased immunity to the disease for horses. Influenza vaccines are commonly given to horses twice a year, Dr. Bob Judd, host of Texas Vet News on the Texas Farm Bureau Radio Network, said. There are many vaccines on the market, Judd said. This is due to how quickly the influenza virus mutates, not just in horses, but in all species. Because the influenza virus changes rapidly, the shelf life of the vaccine is only effective for two to three years, he said. It is important that owners do not mix old and new vaccine strains, Judd said. A study he cited in his program examined the effects of using an old strain that had been on the market for some time in conjunction with a new strain of the virus. 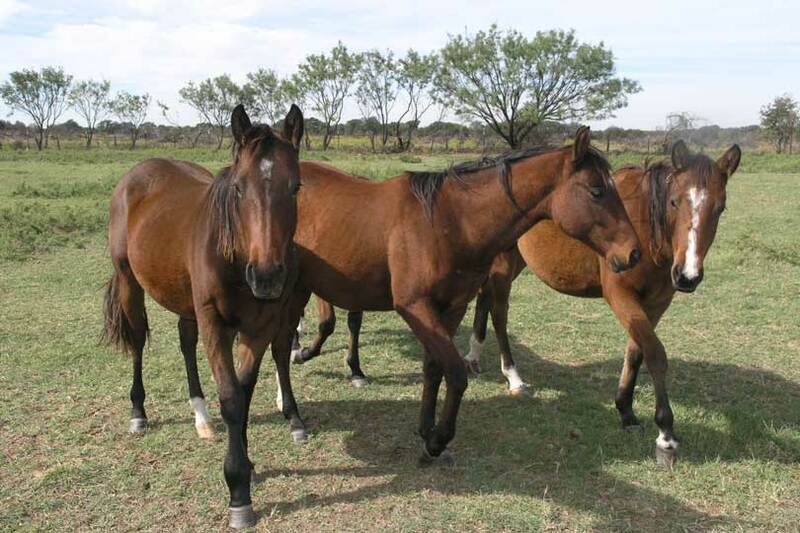 In the study, different vaccination protocols were used for three groups of horses. For the first group, two vaccines containing the old strain were used one month apart, followed by a new strain vaccine in the second year. The second group received the old strain vaccine, boosted by a new strain one month later. The final group received two new strain vaccines one month apart. Blood samples were taken from each of the horses prior to and at the conclusion of vaccination. Results found that horses who received a combination of new and old strains did not have full protection from the influenza virus. “This occurs because using different strains of the same vaccine within one month of each other results in decreased immunity to the second strain of the vaccine,” Judd said. While he would not say which vaccine is the best, Judd said it is crucial that only one strain be used on a horse. “It is important to make sure the initial influenza vaccines that are given one month apart are the same strain of influenza to get a good response,” he said.